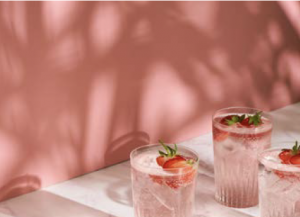 The worlds leading authority on colour trends, Pantone, has announced their prestigious Colour of the Year for 2019 and its a beauty. Living Coral is a pinky, apricot hue inspired by the stunning coral reefs of the sea, symbolising nature, optimism and joy. The Pantone selection process involves a panel of experts combing the world looking for new, emerging colour influences in art, entertainment, fashion, technology and design. If youre looking for a beautiful accent colour for your home, this years Pantone Colour of the Year, Living Coral, ticks a lot of boxes. 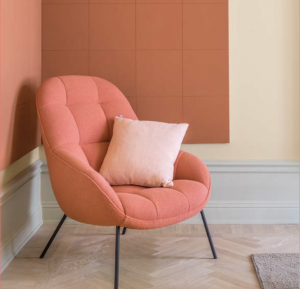 As an extension of the Millennial Pink craze, this distinctive shade which incorporate hues of pink, peach and apricot is vibrant and playful, yet so cosy and inviting. I would pair this colour with soft, dusty blue grey for something really pretty, but if you wanted a fresher look, simply pairing it back with a crisp white would work beautifully and really make the colour shine on its own. As this colour derives from nature, it has a slightly earthy feel so would be most successful when teemed with natural finishes and textures. Pair it with furniture made from timbers where you can see the timber grain and introduce textures wherever you can in the rugs, cushions, wall panelling. Doing these kinds of things will make the colour vibe in a natural way and avoid any sense of artificialness. This colour would also pair really well with Ambers beautiful Carrara Marble mosaic tiles as the soft grey natural stone would be the perfect back drop for this shade. So, in a bathroom you could accessorise with Living Coral towels, a perfect balance of soft yet playful. Bearing in mind the colour may overpower an area if used in large amounts, I would be inclined to use it sparingly to really make it pop. I would suggest starting with an area featuring a coffee table or a bookshelf and make use of the empty surfaces. Find some smaller vases and or vessels in this colour and pair it back with another white and grey vessel, add some greenery and that little vignette is done! If you like how the small pops of colour feels, you could then look at continuing the colour trend in this same space and coordinating other elements back to it like a cushion for the sofa or some artwork that features this colour. Bed linen, cushions, accessories and artwork would be the perfect ways to introduce this colour without having the commitment of having to live with it long term. Like any accent colour, you should allow yourself the opportunity to change it with the season or when you are seeking something fresh and new. However, if you really have your heart set on making a big statement, you could do a feature wall behind the vanity in your bathroom or behind the bath teaming it with Ambers stunning range of artisan tiles. Having an accent chair upholstered in a fabric this colour would also be a major statement in your living room, it works with the nature of the colour being fun, playful and a little unexpected. Just make sure you’re happy to live with the colour for years to come!